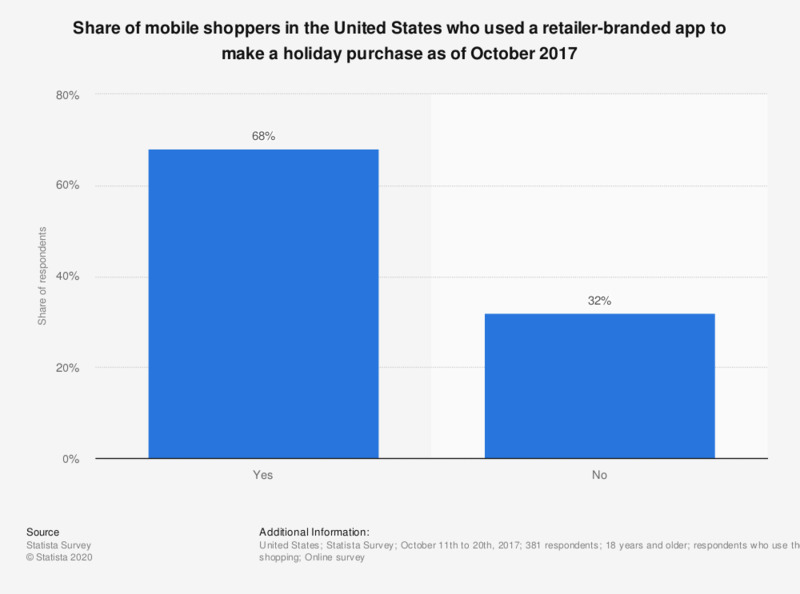 This survey shows the percentage of smartphone shoppers in the United States who will probably use a retailer-branded app to make a holiday purchase. During the October 2017 survey, 68 percent of smartphone holiday shoppers stated that they were probably going to use a retailer-branded app in order to make a holiday purchase. Original question: Will you probably use a retailer-branded app to make your holiday purchases?